In May 2016 Generon has been awarded a contract with Turkish shipyard Besiktas for the supply of three (3) Inert Gas Nitrogen Membrane Systems to be installed on 15.100 dwt Asphalt / Bitumen / Oil Product Carriers for a Canadian owner. Each package comes with dedicated air compression and cargo tank instrumentation and is designed for a N2 capacity of 2250 m3/h, certified to BV rules for essential duty. All three ships will be in service between Canada and North America. 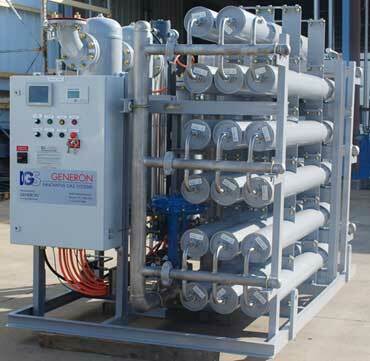 GENERON and its US distribution network are available to assist you with primary air compression, instrument air systems and nitrogen generators for your particular application. Please contact us with your requirements and a representative will contact you for further assistance. For further information on the GENERON Group of Companies, please contact us through our website at www.generon.com on our capabilities.